Picturesquely located in the realms of Ladakh in Jammu and Kashmir, Suru Valley is one of the awe-inspiring regions, filled with natural beauty and pristine snow-capped mountains. 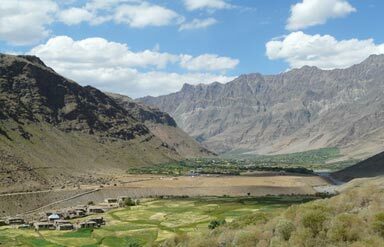 Situated 3000 m above sea level, Suru Valley Trip is famous for nature lovers and photography enthusiasts. The inhabitants of Suru Valley include Dards and Tibetans. One can spot the melting snow glaciers in Suru Valley, adding to its beauty. It is also an agriculturally rich region, one of the rare ones in Ladakh, with two crops produced annually. The Suru River originates from Penzi La glacier and expands to Kargil. The Kun (7,035m) and Nun(7,135m) peaks further enhance the beauty of Suru Valley Tourism. Thus, Suru Valley Tourism is known for the picture-perfect valley, soaring Himalayan crests, gurgling streams and snow-dominated landscapes. One of the must visit tourist destinations in Ladakh, it is a bowl-shaped crest which is encompassed with mountains. It has developed into a popular picnic spot of the region. It is famous for the nearby rustic villages, wild roses and lush-green plantations. It is located 40 km away from Kargil and Sakoo Tourism is one of the looked after travel temptations for those visiting Suru Valley. Nestled in isolation in Suru Valley, it is an extended plateau which is encompassed with mighty hills and Rocky Mountains. It is situated at the altitude of 3657 meters. It is six hours away from the historically important location of Kargil. The main attraction of Suru Valley Trip is the Rangdum monastery, which is inhabited by 40 monks. It is nestled under the shadows of Nun-Kun massif. One of the prime tourist destinations in Suru Valley, it is quite serene and photogenic due to the presence of Mt. Nun (7135 m). 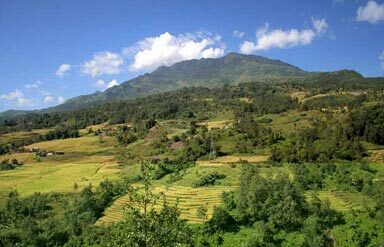 This plateau has been intensely cultivated and is close to the Suru River. One can also spot one of the Himalayan tributaries called Chelong River near Panikhar. Tourists can explore the Suru Valley Travel Guide and opt for nearby tourist locations such as Sonamarg (75 km), Pahalagam (104 km), Dachigam National Park (108 km), Srinagar (131 km), Kasha (136 km). The best time to delve into Suru Valley tourism is from June to August when the temperature is mild and the climate is pleasant. 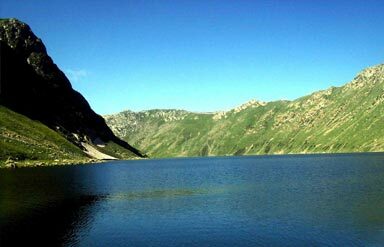 One can reach Srinagar by flight and then book a can for Suru Valley which is located 131 km away. So, do something never done before this season and delve for Suru Valley Tourism.